Communities Joined in Action is led by a national Board of Directors composed of leaders with front-line experience in the business of healthcare, community health care redesign, leadership development and organizational change. Among the board members are community champions that have built full access programs. Abena Asante, MHA, is a senior program officer at St David’s Foundation in Austin, Texas. Abena joined the Foundation in 2016 and leads strategy development and grant making for the strong safety-net; connection to specialty care and rural communities focus areas. Prior to joining St David’s Foundation, Abena spent almost 8 years with the Kate B. Reynolds Charitable Trust in North Carolina. While at the Trust, she managed a health focused grant portfolio including access to primary care and behavioral health services. In her role as a program officer, Abena led the Trust’s state-wide diabetes initiative and partnered with thought leaders including the North Carolina Department of Health & Human Services and Harvard University to publish the Providing Access to Healthy Solutions (PATHS) report which highlighted policies supporting the management and prevention of Type 2 Diabetes in North Carolina. Additionally, Abena led the implementation of the Healthy Places North Carolina Initiative in rural communities in western North Carolina. The goal of the place-based initiative was to improve the health and well-being of the community by strengthening their local capacity to organize, lead and develop health interventions that were relevant to their communities. In her role as a program officer for the Cone Health Foundation, she worked with community stakeholders to establish the first county-wide obesity prevention coalition. Prior to joining the field of philanthropy, Abena worked in several capacities with non-profits and Public Health Departments in North Carolina and Florida. Abena is an alumnus of the Southeastern Council of Foundation’s Hull Fellows’ program and also ABFE’s Connecting Leaders Fellowship program. Abena holds a Master of Health Care Administration degree from the Gillings School of Global Public Health at the University of North Carolina and a Bachelor of Science degree in Community Health Education from the University of Florida in Gainesville. Kevin Barnett, DrPH, MCP is a Senior Investigator at the Public Health Institute. His primary focus of research and fieldwork is on the charitable obligations of nonprofit hospitals. A particular emphasis is on institutional alignment and the strategic investment of charitable resources in collaborative, evidence-based approaches to health improvement. In 2006, he completed a multi-state demonstration project involving over 70 hospitals entitled “Advancing the State of the Art in Community Benefit” (ASACB) to develop and implement uniform community benefit standards. With support from the W.K. Kellogg Foundation, he is currently engaged with leading edge health systems to facilitate the implementation of the ASACB uniform standards at the national level. He is also working in partnership with the National Network of Public Health Institutes with funding from the Centers for Disease Control and Prevention to convene a series of community benefit regional roundtables in seven states. The roundtables bring together leadership from hospitals and health systems, public health, and other stakeholders to explore the application of the ASACB standards and build on accomplishments to date. Kevin also served as co- investigator of a study focusing on health professions accreditation and diversity funded by the W.K. Kellogg Foundation. A report entitled “Health Professions Accreditation and Diversity: A Review of Current Standards and Processes” was released in May 2007. He is currently completing a follow up report that outlines a set of consensus recommendations for accreditors based on focused dialogue with academic leaders in the disciplines of dentistry, medicine, psychology, and public health. Between 2006 and 2010, Kevin has served as the co-director of a four-year statewide initiative funded by The California Endowment that focuses on strategies to increase health professions workforce diversity in California. Since June 2009, he has also served as the co-director of the California Health Workforce Alliance, a statewide group of health professions employers, higher education, K-12, advocacy groups, and public sector agencies that focuses on the coordination of health workforce development. Darcey joined Project Access as the Executive Director in May 2012. Her background includes a BA, French and Finance from Florida State University, an MBA from Georgia State University, and an MPH from Walden University. Darcey is a native of southern Connecticut (Bridgeport). Her career has balanced between the public sector, municipal government and healthcare, with a focused on community health, quality of care and health outcomes for various populations. 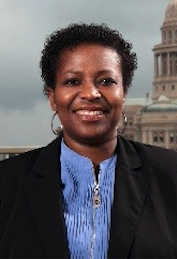 Darcey served previously in the Mayoral appointed position of Director of Elderly Services for the City of New Haven, as the Ambulatory Care Manager for the Infectious Disease Clinic at Harlem Hospital Center and most recently as the Research Manager/Manager of Business Operations for the Yale/Yale-New Haven Hospital Center for Outcomes Research and Evaluation. In addition to her academic, management and research background, Darcey brings to Project Access a genuine interest in the mission of the organization and desire for increased/improved access to care for all. Eve Gardner has been the Executive Director of Healthy York Network in York, PA, since its inception in December 2003. Healthy York Network is a program which helps low income, uninsured and underinsured individuals in south central Pennsylvania to gain access to health care services and medications at a discount. The over 7,200 community members who are enrolled in the program benefit from Healthy York Network’s leadership in forging together a diffuse partnership that includes four regional hospitals, 740 providers, the Department of Welfare, the United Way, the local Health Department, the Community Progress Council and many other social service agencies. Previous to working with Healthy York Network, she spent seven years as a practice administrator with the WellSpan Medical Group and held the position of Director of Health Information Management for Pinnacle Health System in Harrisburg, PA for 12 years. Eve has shown a long history of leadership in activities and efforts directed towards making her community a better place to live and work. Eve is active in her church including serving as elder and assisting in foreign mission trips. She is a member of the Board of Directors of the Community Progress Council (the local community action agency), serves on the Campaign Cabinet for the United Way of York County and currently chairs the Board of Directors of Logos Academy, an independent school in York City for those children with more potential than means. She has a BS in Medical Records Administration from Ithaca College, Ithaca, New York and an MBA from Penn State University. Linda joined Care Share in the fall of 2008. Linda is responsible for the strategic direction of the technical assistance center, program operations, and innovation and business development for the organization. She provides on-site technical assistance to the central and western regions of the state with expertise in collaboration building, Collaborative Network development, strategic planning, collective impact and leadership development. Previous to her position as the Deputy Executive Director of Care Share Health Alliance, Linda Kinney served as the Executive Director of the North Carolina Association for Healthcare Access and Director of Health Access for the Buncombe County Medical Society Foundation. During her tenure with the Buncombe County Medical Society, she directed Project Access and was instrumental in replicating the model in communities across North Carolina. Linda has a background in fundraising and community organizing through her work with the Girls Scouts of Western North Carolina and the Farm Worker Health Project in South Texas. Linda received her undergraduate degree in Psychology from University of Wisconsin at Madison and her Master’s of Health Administration from the University of North Carolina at Chapel Hill. Karen Minyard, PhD has directed the Georgia Health Policy Center (GHPC) at Georgia State University’s Andrew Young School of Policy Studies since 2001. Minyard connects the research, policy, and programmatic work of the center across issue areas including: community and public health, end of life care, child health, health philanthropy, public and private health coverage, and the uninsured. Prior to assuming her current role, she directed the networks for rural health program at the GHPC. She has experience with the state Medicaid program, both with the design of a reformed Medicaid program and the external evaluation of the primary care case management program. 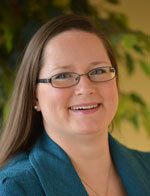 She also has 13 years of experience in nursing and hospital administration. Dr. Minyard is an advocate for the importance of community in national, state, and local policy and the power of communities to improve health. Dr. Minyard maintains her connection with communities by working directly with local health collaboratives and serving on the boards of the National Network of Public Health Institutes, Physicians’ Innovation Network, and Communities Joined in Action. Dr. Minyard’s research interests include: financing and evaluation of health-related social policy programs; strategic alignment of public and private health policy on all levels; the role of local health initiatives in access and health improvement; the role of targeted external facilitation and technical assistance in improving the sustainability, efficiency, and programmatic effectiveness of non-profit health collaboratives; and public health systems and financing. Dr. Minyard frequently makes presentations and acts as a neutral convener and facilitator for groups and organizations. She often provides testimony for the state legislature and recently presented to congressional and executive agency staff at the National Health Policy Forum. Currently, she is spearheading a team of faculty and staff at Georgia State University dedicated to translating national health care reform. Dr. Minyard received a bachelor’s degree in nursing from the University of Virginia, a master’s degree in nursing from the Medical College of Georgia, and a doctoral degree in business administration with a major in strategic management and minor in health care financing from Georgia State University. 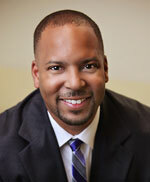 Quentin J. Moore, MPH has practiced in the public health and community benefit fields since the late 1990’s. He has a Masters of Public Health in Human Nutrition from the University of Michigan School of Public Health and a Bachelors of Arts from Fisk University in Nashville, TN. As part of his role at Beaumont Health, located in his home community, Quentin is responsible for leading evaluation of programs aligned with Community Health Needs Assessment requirements, identifying new funding opportunities, partnering to implement innovative financing models, reporting and disseminating outcomes, collaborating with the OUWB School of Medicine and identifying new value added initiatives to support Beaumont Health’s mission across all sites. Quentin most recently served as the Director, Population Health & Disparities Prevention at Trinity Health. During his 10 year tenure at the Trinity Health system office, Quentin was engaged in a number of progressive positions within the Community Benefit/Community Health area, including leadership of community benefit reporting, launch and implementation of a diabetes telemonitoring initiative, evaluation and reporting of program models, development of a system equity plan, system integration efforts and the creation, development and launch of a nationally recognized innovative program/funding model, Transforming Communities Initiative, a multi-year, $80 million program to address community needs through policy and environmental changes. Quentin also spent a number of years at the Michigan Public Health Institute and led community based strategies around nutrition, physical activity and cardiovascular disease. In addition, his work has been highlighted in national publications and replicated, including a nutrition environment assessment tool (NEAT) adapted for use by the Department of Defense. Quentin continues to serve on a number of national and local boards that support community health improvement and continues to look for different ways to engage new sectors in the work of health systems and communities. Mark has worked with Community Health Workers in Alaska, Maryland and Ohio providing training, supervision and technical support. Mark has worked with his wife Sarah to develop the Pathways Community HUB model and the related tools to support CHWs and their supervisors in identifying and addressing the risk factors impacting outcomes, spanning health, social and behavioral health domains. These tools include models of agency networking, documentation, tracking, and pay for performance financing models. Mark works within the Akron Children’s Hospital Rebecca D. Considine Research Center focusing on community care coordination and pay for value research and part time as a primary care pediatrician in Mansfield Ohio. Beginning in May of 2009 Judith Warren serves as Chief Executive Officer of Health Care Access Now (HCAN). HCAN is a regional management services organization supporting safety net providers in the delivery of care coordination services, medications access, health care access programs, community education and advocacy, and management information services. Judith directs care coordination services that assist targeted populations (high risk pregnant women and adults utilizing hospital ED) in connecting to primary care and eliminating barriers to care. HCAN also manages a regional community health coalition – Access Health 100 – that consist of 40 organizations who provide executive leadership for development of service partnerships that will improve health outcomes and eliminate disparities in access to care. Warren represents HCAN and Access Health 100 with regional stakeholder groups, including the business community, academic and professional organizations. Judith Warren is former senior program officer at the Health Foundation of Greater Cincinnati, for its Community Primary Care grant making portfolio. Judith brings over 25 years of community health experience to HCAN. From 1993-1998, Judith served as president of the West End Health Center, an inner-city primary care facility that served about 4500 patients. Under her leadership, the West End Health Center expanded its services with “firsts”: the first community-based Urgent Care service for inner-city residents, and the first community-based primary care school-linked health service. Judith came to Cincinnati in 1993 from Indianapolis, where she was manager of administrative affairs for the Marian County Health Department, serving as senior liaison in the creation and management of many public health programs. Among her professional and volunteer activities, Judith is a former board member of Every Child Succeeds and works with faith-based community organizations to develop services in target areas. Warren holds a Bachelor’s Degree from Fisk University and a Master’s Degree in Public Health from the University of Michigan. She is a 2005 graduate of the International Center for Health Leadership Development Fellows programs, based at University of Illinois of Chicago.